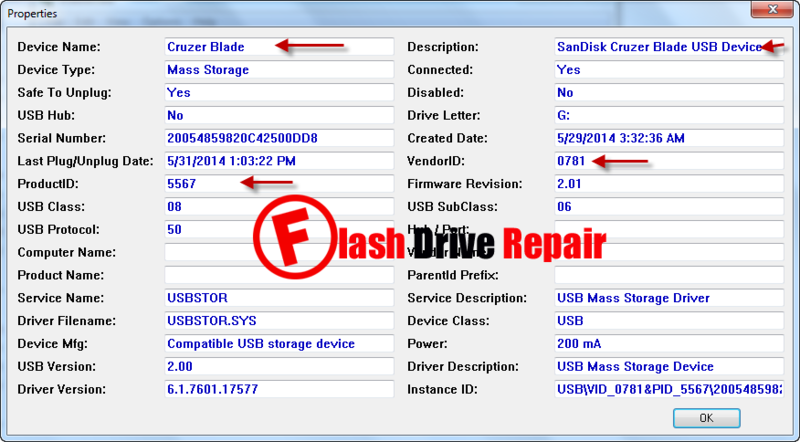 Learn how to determine your USB flash drive information .Download USBDeview V2.30 utility and detect your flash drive PID,VID and chip vendor information . 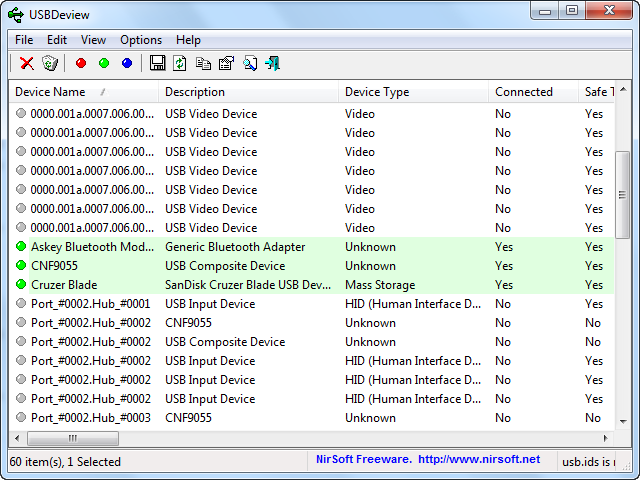 USBDeview V2.30 utility is a great free USB device tool .It can detect and show all connected USB device information. USBDeview V2.30 utility provide you with USB flash disk information such as Device name ,description ,device type ,serial number ,Vendor ID (Vid) , Product ID(Pid ),Chip controller vendor and chip vendor model . With USBDeview V2.30 you can Easily view and manage the USB devices connected to your computer . USBDeview V2.30 also allows you to uninstall USB devices that you previously used, and disconnect USB devices that are currently connected to your computer. USBDeview utility works on Windows 2000, Windows XP, Windows 2003, Windows Vista, Windows Server 2008, Windows 7, and Windows 8. Both 32-bit and 64-bit systems are supported. Windows 98/ME is not supported. The main advantage of USBDeview V2.30 is that you can determine Corrupted USB devices information Like USB flash drives so after we know the corrupted flash drive information , we can repair it by updating it's firmware . To learn how to repair corrupted usb pen drives by knowing VID and PID and Chip Controller , you can read the following articles . I have a sandisk ultra 3.0 32 gb.It displays "the usb flash is write protected".How to solve this problem?